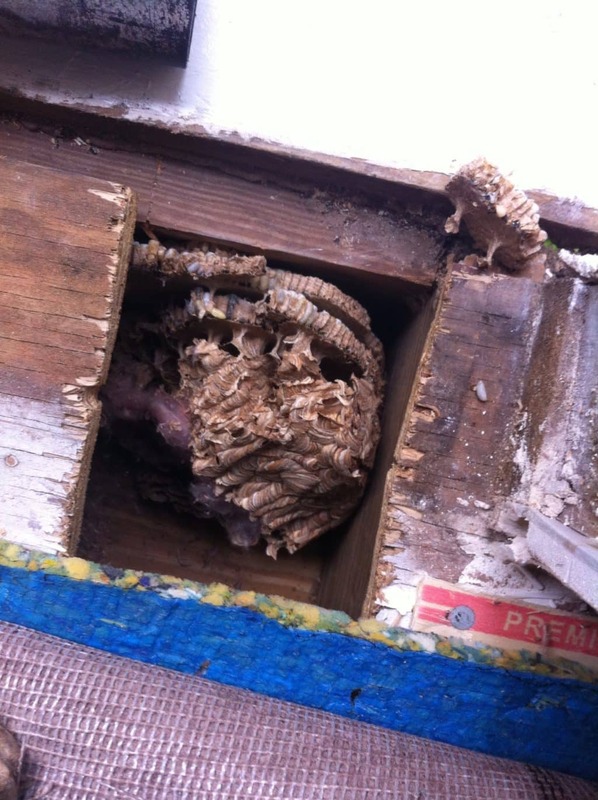 A hive cut-out means the hive is inside a wall, ceiling, soffit box or any structure that we have to cut through construction material to gain access to the hive. WARNING!!! EVEN IF YOU DO NOT HIRE US TO REMOVE THE HIVE FROM THE WALL. PLEASE DO NOT LET ANYONE SPRAY THE ENTRANCE OF THE HIVE IF IT GOES INTO A STRUCTURE. More times than not it actually forces the hive deeper into the walls and may not get to the Queen. The problem with a nest in a wall void is that the yellowjackets constantly try to expand their nest by chewing. If they are behind sheet rock, it is easy to break through the wall. 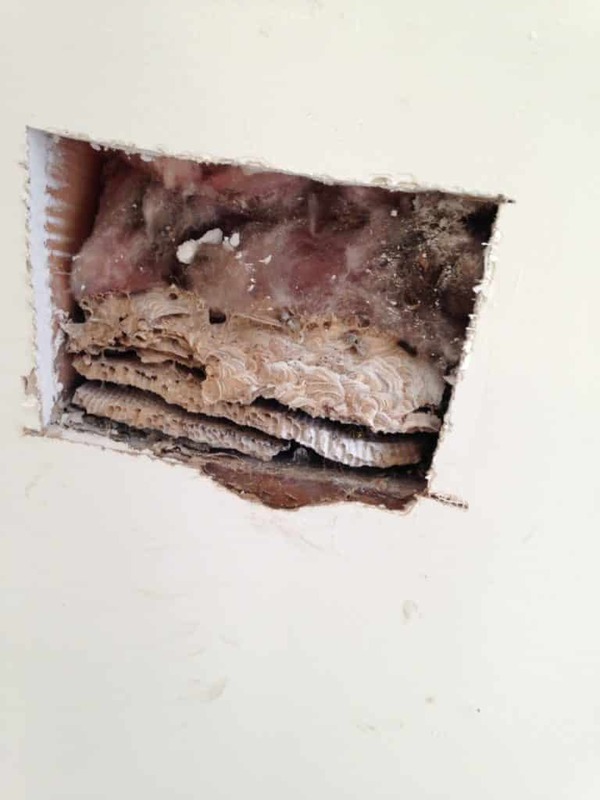 If you hear noises in the wall and suspect you have a hive, you could have an emergency in the making. 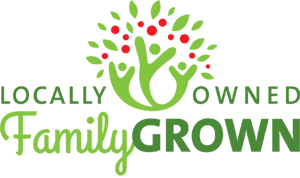 Contact us- we can help! 1 – We get on protective clothing, bring our gear inside, prepare the room and attempt to locate the hive. 2 – Once we locate the hive, we determine what is the least costly way to access the hive. When I speak in terms of less costly we consider both our time & cost of the material the we need to cut into. (i.e., it is always less expensive to cut into drywall rather then siding.) We take into considerations that you are going to have to hire someone to repair the hole we cut so we keep that in mind while making the decision to cut. 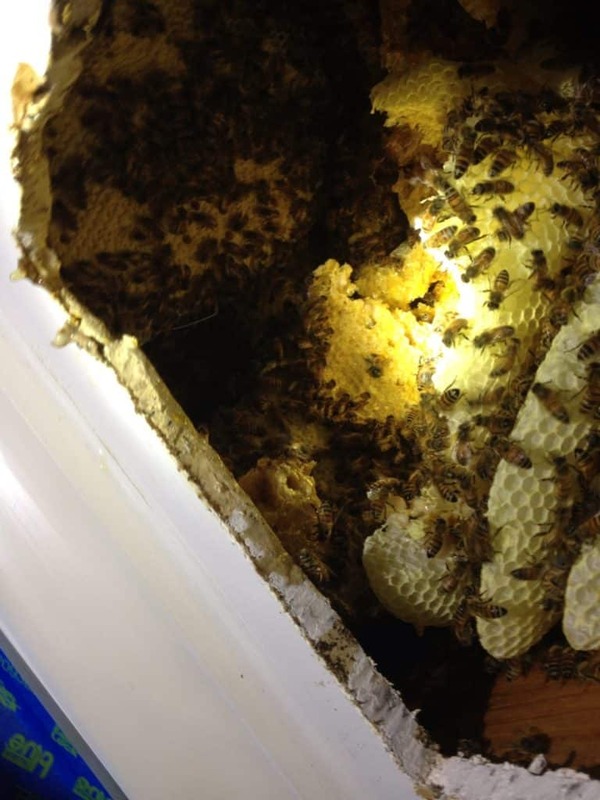 3 – We access the hive, containing all of the insects during the process to remove the Queen & hive. You do not want to leave it in the wall if removal is an option. It will attract ants, roaches and rats – all kinds of unwanted pests. 4 – We tape up the hole temporarily and discuss options like spraying the cavity or the entrance outside & caulking or excluding the entry point so no further hornets can enter. 5 – We clean-up our mess & leave. THIS IS IMPORTNAT INFO! With all hives there are hunters out during the day. 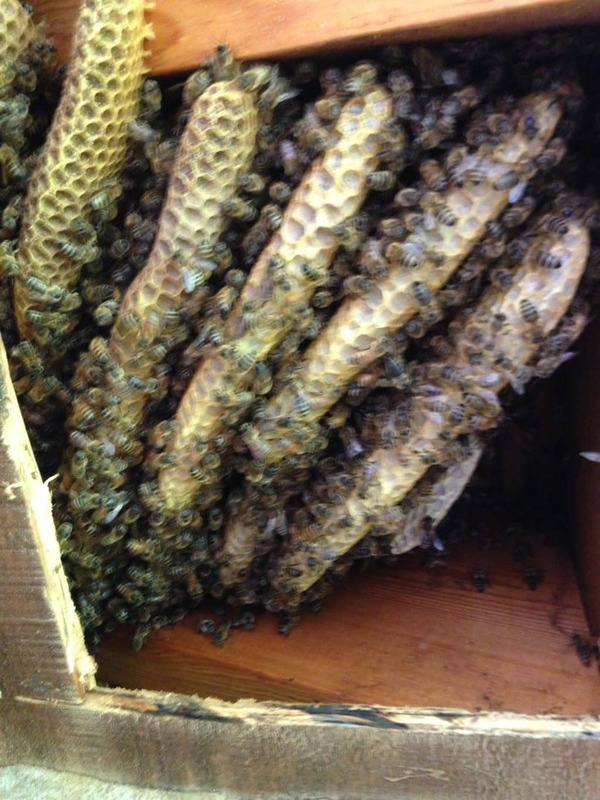 When we get to the hive we try to contain all of the insects and remove them. After our work is done, unless the outside was excluded so no more insects can get to the hive, then some may return. 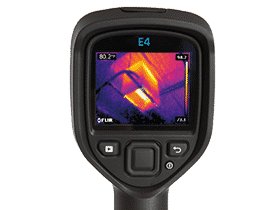 We now offer to apply pesticides in the bare cavity to deter any that got away into the wall void and with the residual effect of the pesticide, they will either be repelled or die. The application of pesticide is an upcharge and only used if you wish. If they hunters create a second or additional entrance into the wall void they may start to build paper again. But understand that 99% of the time we get the Queen so there isn’t any pupae in the hive. It is normally just empty comb. If we have to come back out there are fees associates with the second trip as well. Just know this is a rare situation but we love transparency and now you know the “what-if”.